The extent and frequency of coal-mining disasters was far less during the twentieth century compared with the Victorian times, especially after the nationalisation of the industry in 1947. Legislation, inspection and knowledge of the main causes of accidents, especially concerning emissions of gas and explosions, combined to reduce the chances of major mishaps. When disasters did occur, an increasingly highly-trained and well-equipped mines rescue service came into action, saving lives, even at the expense of some of their own brave members. Yet through much of the century coal mining continued to be a highly dangerous occupation, day-to-day fatalities occurring on a regular basis; and the bigger disasters: at Maltby Main, Bentley, North Gawber and Wharncliffe Woodmoor, attracted widespread media attention, causing immense suffering to bereaved families and communities. At the time of the Cadeby disaster of 1912 when there were 88 deaths, including rescue workers and mine inspectors, there were about 2,600 collieries operated by almost 1500 independent concerns and a work-force of around 1,100,000. By the 1970s, about the time of the last disasters covered in this volume there were still 240 working pits. Brian Elliott’s book helps us to appreciate the great debt that we owe to our recent coal-mining ancestors. We should never forget them.Brian Elliott is the son of a Wharncliffe Woodmoor miner and has written extensively on coal-mining and social history. 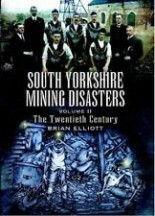 His recent books include Yorkshire Mining Veterans, South Yorkshire Mining Disasters (Vol 1) and Lord Mason. Barnsley Pit Lad to Peer. 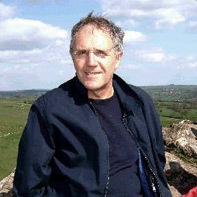 He is often consulted by the media on matters relating to local history and the history of the coal-mining history in particular, including the 1984/85 strike on which he has compiled two notable books: The Miners’ Strike Day by Day and Yorkshire’s Flying Pickets. NOTE: Should you wish to order more than one copy of this title, we may not be able to fulfill the order please email us to check .